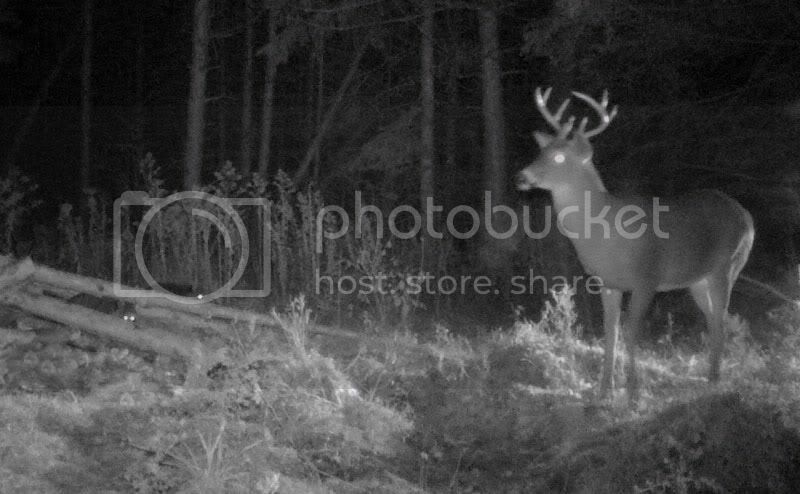 Birdee is more dedicated to the hunt this year than any year in the past. 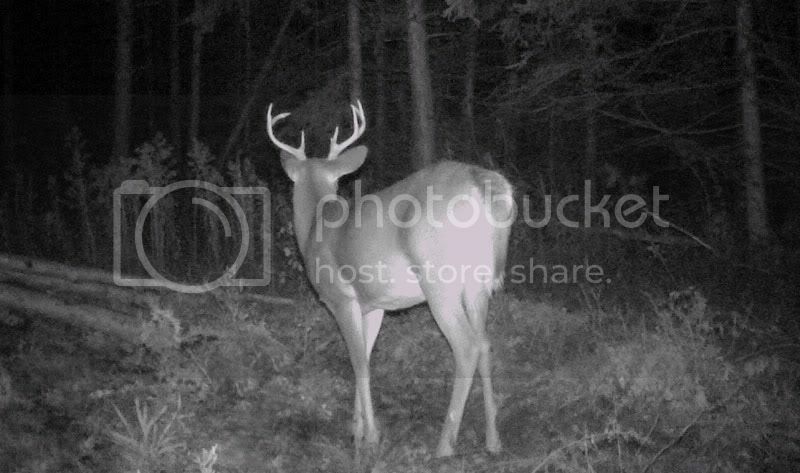 Since returning from our Quinte trip she has been in the stand every night which amounts to 17 nights out back. 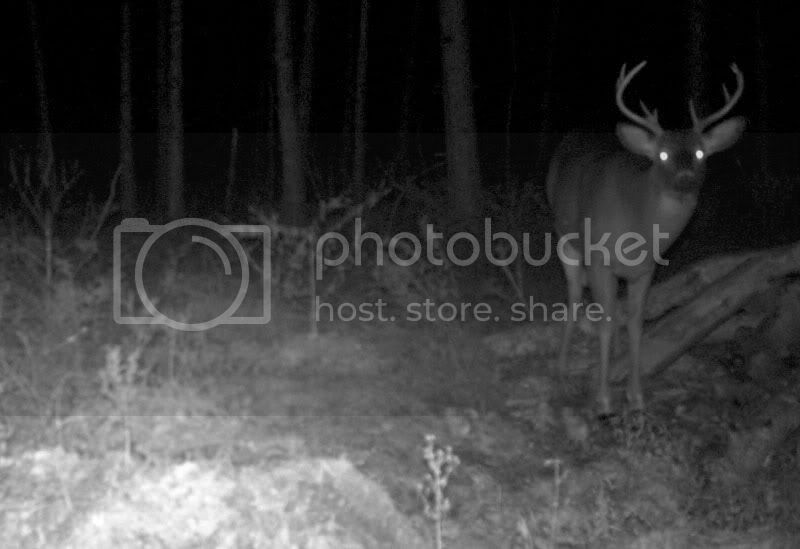 In those 17 evenings she has had two opportunities to tag out on a Buck. Another evening she needed a few more minutes of daylight to get the shot she needed. She’s seeing the action out back but just not the deer she wants yet. 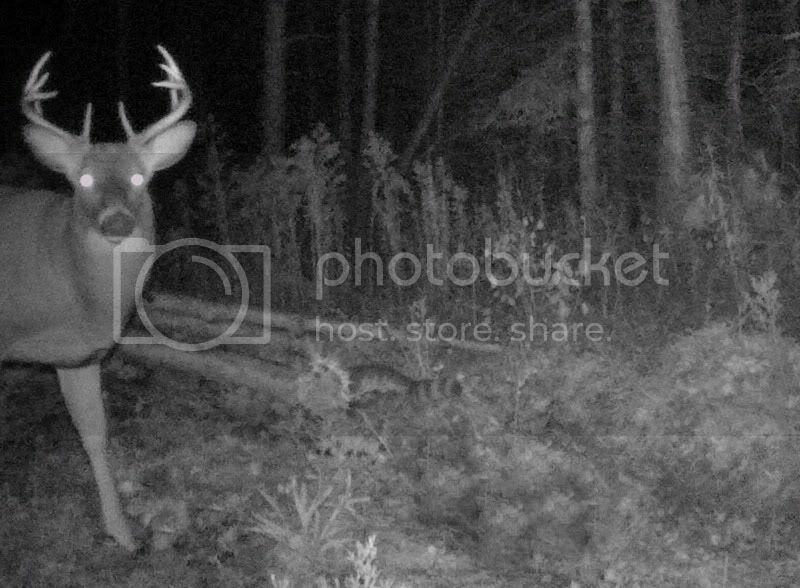 One night I decided to sit with her in the stand. 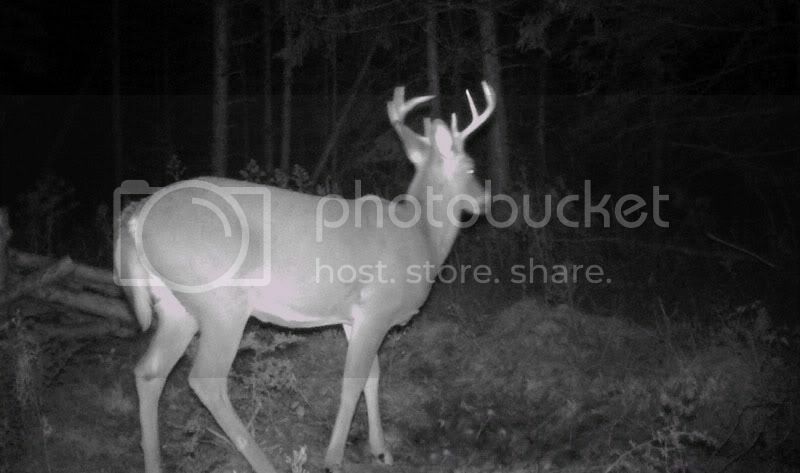 Sure enough we had a buck come in. 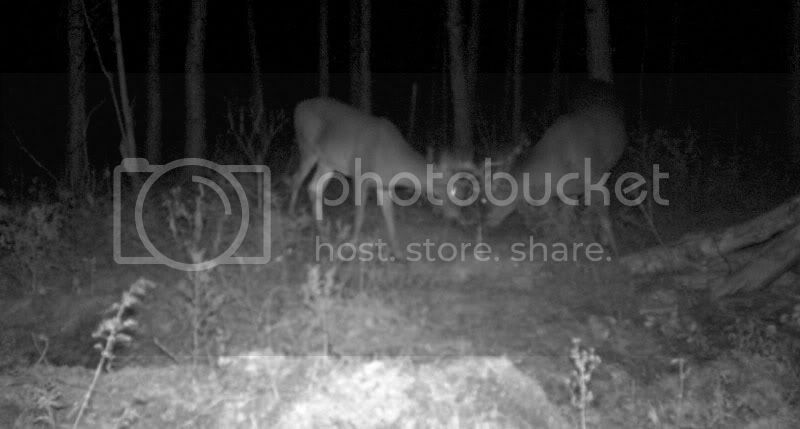 For a non hunter this was quite the experience! It seemed like forever for his comfort level to settle for him to come in but he did. 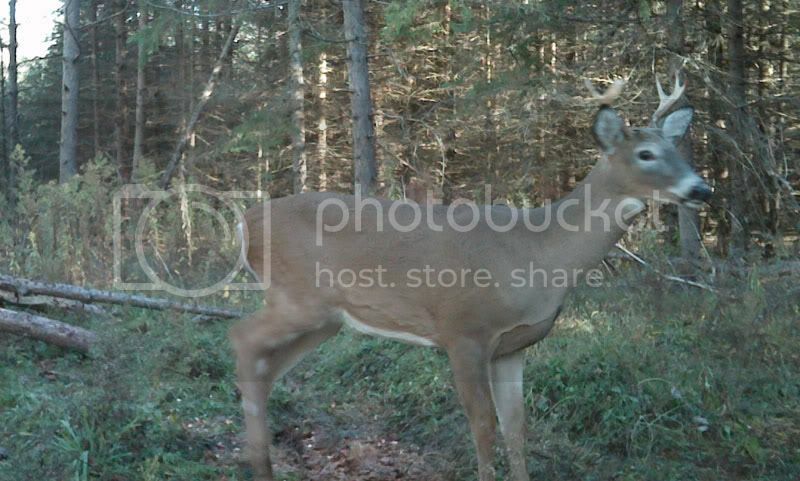 This was the deer that came in on us. And the reasons she is holding back…..
And one the coolest shots we’ve ever had. 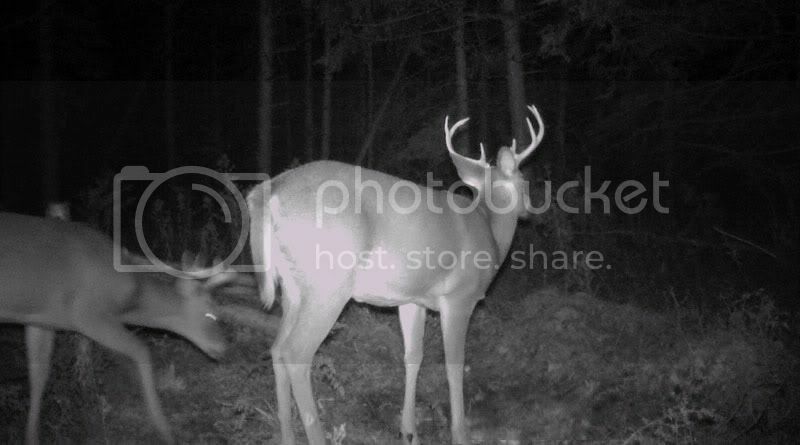 We have two cams setup on the same area and captured the flash highlighting this buck. 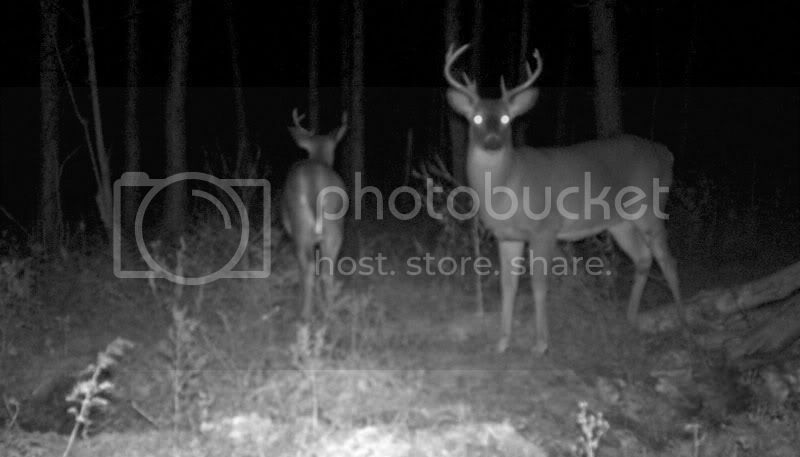 And finally….the Buck that keeps Birdee awake at night. 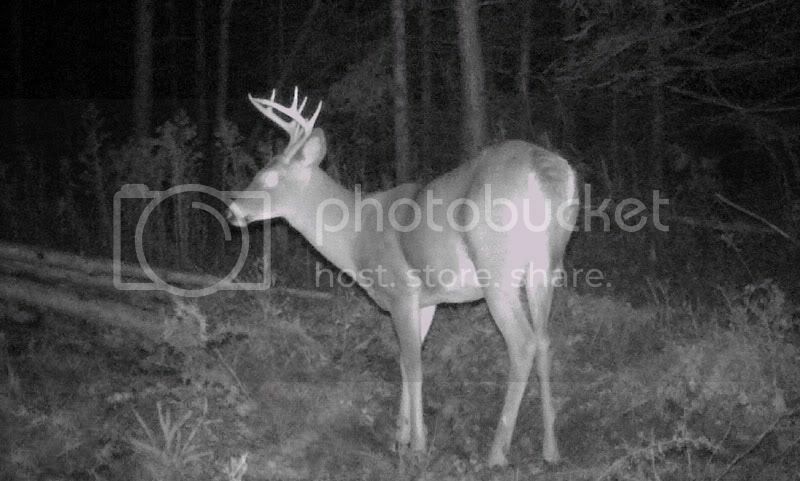 She’s putting her time in hoping to be rewarded soon! ← Opposite ends of the spectrum…..